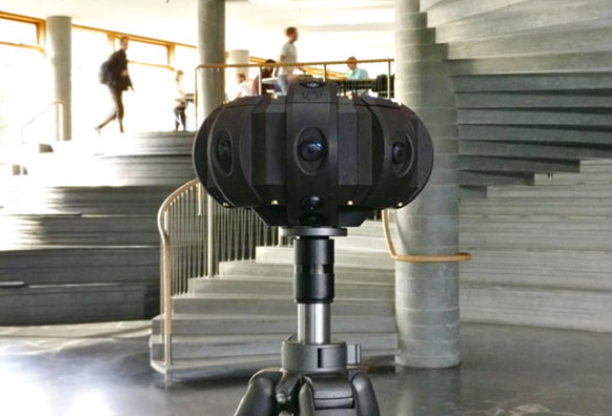 Absolute Zero is a professional 360 camera with 12 lenses and can capture 8K 60fps 360 video, or 6K 3D 360 video, or 9K photos, with specifications, features, and price that seem too good to be true. – The app can reportedly show an instant preview with 2D or 3D 360 projection. These specifications are incredibly ambitious, particularly coming from a startup company. On top of that, they are offering the Thor for a remarkable price of just €2,999, reportedly available in the first quarter of 2018. In fact, if you preorder it, they are offering a 30% discount at €2,100. Honestly, the Thor sounds almost too good to be true, even at twice its retail price. To put its specs into perspective, the Insta360 Pro shoots 8K in 2D 360 @ 30fps (not 60fps), or 6K 3D 360 @ 30fps and costs $3499. The Kandao Obsidian shoots 6K 3D 360 at 50fps and costs $6,999. These are cameras manufactured in China, where labor costs are much lower. I can’t understand how the Thor can undercut Insta360 and Kandao. UPDATE: it appears that Absolute Zero has a cloud stitching service and will charge for the cost of using that service, which may explain the low price. Thank you very much to Ole Johan Bolstad for sharing that information! Absolute Zero has made samples available for download at its website. Thank you very much to the readers who told me about it a while back (there were several of you — I’ll have to hunt down your names…). Hey Mic, seems like the link to their site isn’t working. Amazing specs!